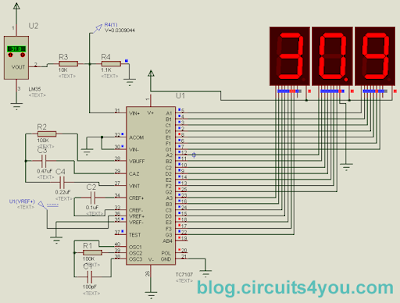 The circuit given here is of digital temperature indicator with LED 7-segment display using the ICL7107. It measures temperature from 00.0 C to 99.9 C. ICL7107 is a 3 1/2 digit A/D converters with LED 7-Segment Driver. 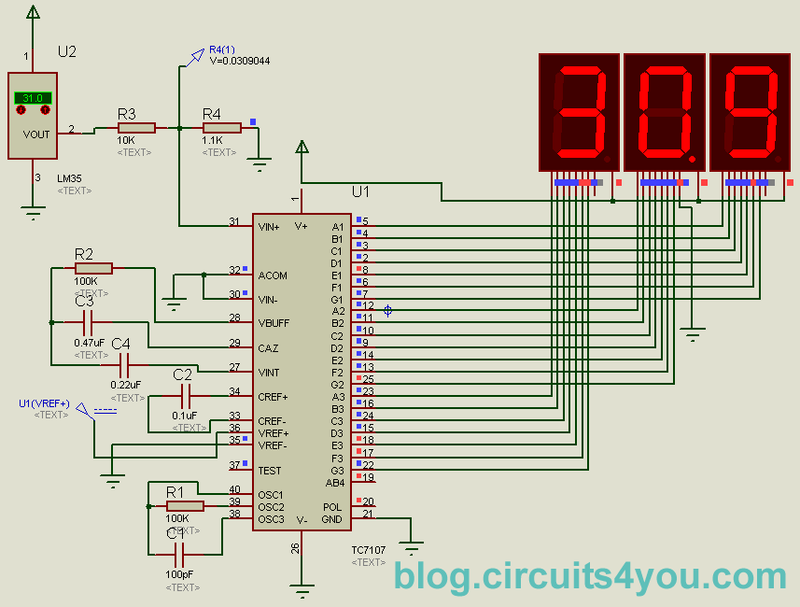 We convert 99.9mV Voltmeter into a Temperature indicator first we design 99.9mV Voltmeter. using 1/2(half) display. Reference voltage of 100mV is generated using 1.2 V Zener and Variable resistor forms a voltage divider. Input is divided by 10K and 1.1KOhm resistor (divide by 10) to get proportional temperature scale. Block diagram gives clear idea about how it works. Thank you for answering our questions. IO would be thankful to you if you can give me some advice on the use of Weather Measuring Instruments & gadgets. Can i put any values?